Few days ago, my daughter had her second cello recital, that made me proud. 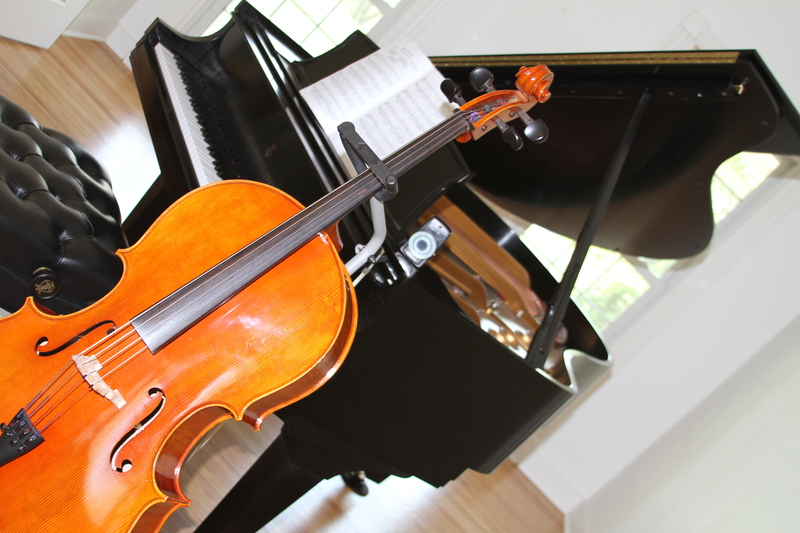 After just a year and a half of cello lessons, many people are amazed on how quickly she learned to play and at the level she is playing now. She started piano lessons about 2 and a half years ago and today, her piano teacher at our local church recommended that we get her a professional music teacher, as she thinks my daughter is getting more advanced. I can painfully remember when my daughter was still very young, her speech was delayed and she does not interact with the other kids as we expected her to. We have noticed that she was “different”, and this caused us great concern. We feared that she will be labeled with some kind of a syndrome that has capital letters on it or has a foreign-sounding name. And for a parent, one of the worst fear you can have is to be told that your child is “not normal”. But as the years went by, she started to speak. And when she started school she learned to read, write, and do math at her grade level. Our fears slowly ebbed away. Though she still sees things “differently” and reacts “differently” compared to other kids. I guess, she will always be seen as different. But when we introduced her to music lessons, “different” turned into “special”. More than a year ago, while we were waiting in the hallway at her music school for her cello lesson, we overheard a music piece being played in one of the piano rooms. My wife asked our daughter if she knows the title of that piece. She said that she does not know, but she nonchalantly stated that it was being played in B minor. We thought her answer was odd. How can she tell B minor if she does not even know the music piece? When we got home, I started playing different hymns in our piano, and asked my daughter who was in another room what key I was playing. She answered them all correctly! Then I played just single notes, and she named them all correctly too. Not only can she name the right key, she can also hum to me the specific pitch if I asked her. That’s when I realized she got “absolute pitch“- an ability to identify a pitch of a musical tone without an external reference pitch. This is a rare musical trait and is believed to be genetic. If this is a genetic trait, it surely skipped me! Yes, my daughter is “different”. But this time, I am not worried. I still find it amusing when she tunes her cello without any reference tone except her ear. Truly Amelyn is a gifted child, to see her play fourhands with Aleeza was a proud moment. She has a very good ear and very sensitive with the music she plays. Good job Amelyn! Our daughter’s speech was also delayed compare to my son who can sing happy birthday at two years old, but now at 8th grade she has all A’s in her grade. She love music too, she plays piano, guitar and flute, not a genius, maybe a little bit above average but we love her just the same. Your daughter has a very nice gift I heard her play I think in your blog titled “one wintry morning” I knew at once that she plays piano really well.